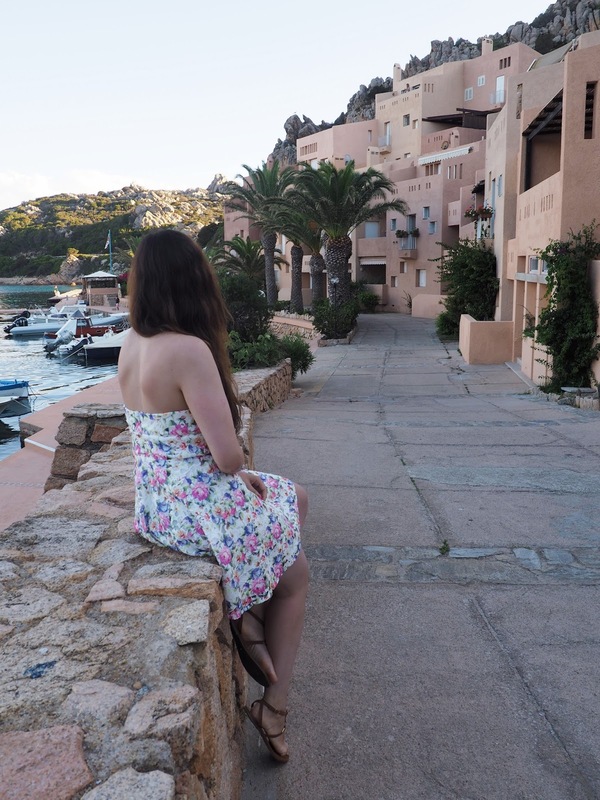 If you didn't know, Sardinia is a large Italian island in the Mediterranean Sea with nearly 2,000km of coastline and sandy beaches, so it was a no brainer really as it sounded like the perfect summer spot. We wanted to stay near enough the airport which is situated in Olbia and conveniently the famous tourist destination Costa Smeralda wasn't too far from it either. 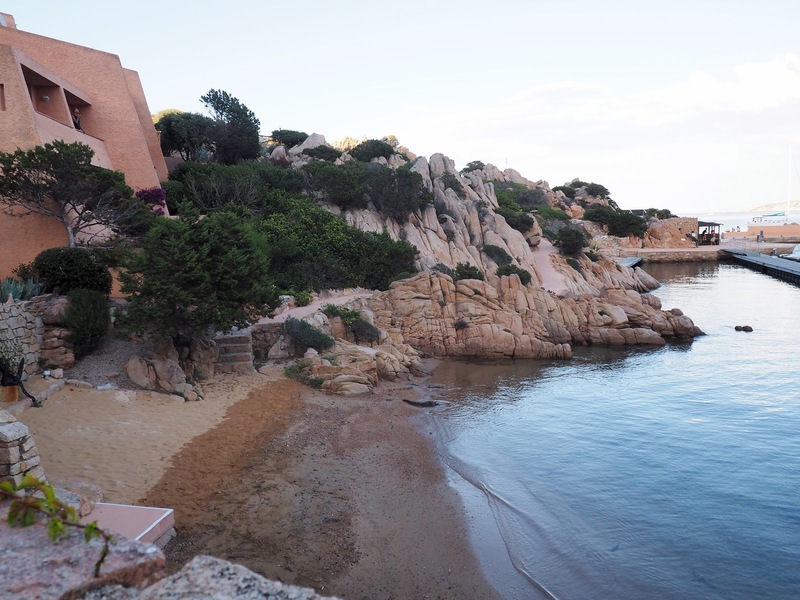 Costa Smeralda, as the name suggests, is a coastal area in northern Sardinia boosting white sandy beaches and turquoise sea. Costa Smeralda is THE most expensive location in Europe in terms of price per square metre, so renting on Air Bnb was out of the question. Instead, we opted for four-star hotels that were budget friendly and close enough to this paradise and here's a rundown on the hotels we stayed in. We only stayed for one night on our arrival but we had a very pleasant time here despite not taking advantage of all the facilities. The hotel is conveniently situated near the airport, so near it is a 10-minute walk from arrivals to the hotel reception. We didn't know this when we landed and given we were in a whole different country, tired from the much-delayed flight, and desperate for the loo (tmi? ), instead we hopped into a taxi. We were charged 15 Euros for a 2-minute taxi journey (crazy I know) so if you ever stay here don't be lazy like us and just walk. Despite its location, you won't hear any planes flying over as the airport has very low traffic. The pool is on the small side but it looked clean enough from what we saw. What we liked the most was the food, obviously! Breakfast is included and the buffet variety was great. In terms of accommodation, the room was clean, spacious and modern, as was the entire hotel. The Wi-Fi was incredibly fast which is always a plus when you're incessantly uploading to Instagram your every single move. We stayed here 4 nights and I did not want to leave by the end of our stay! The resort is located within 15 minutes of the airport by car so a little further away than the first but still in a great location. 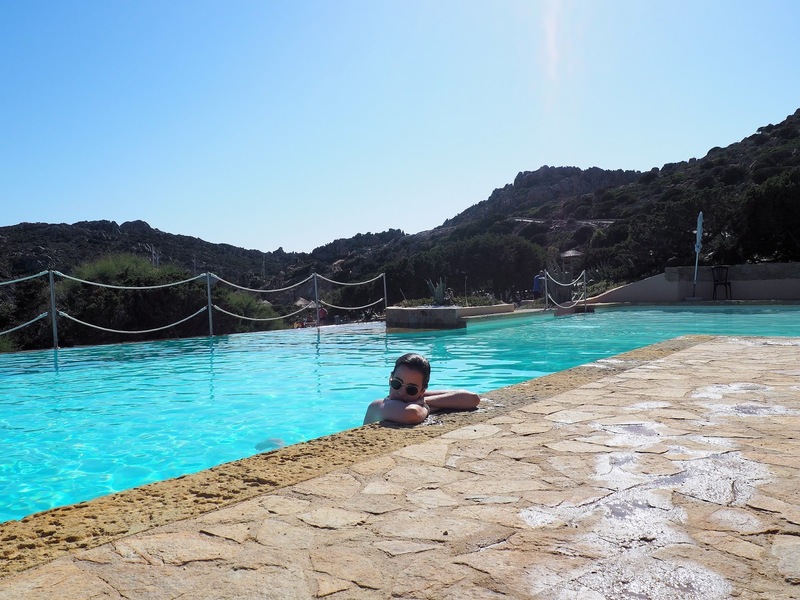 We chose this spot as Costa Smeralda was only a 20-25-minute drive away and Olbia centre a 10-minute car journey. The room was spacious and clean, the bed excellent and the aircon a godsend. We had a garden area outside our room which came in handy to dry off our swimsuits. Our room was at the top of the hill (which is very steep) and was a pain to climb in the heat at times but I saw this as an opportunity to burn off the extra calories I was eating at breakfast. Given the resort is mainly aimed at families, the breakfast food did not disappoint; the pastries were to die for (they had dreamy chocolate croissants every single day!) and the variety of hot dishes, juices, bread, spreads, cereals and the likes was amazing. There are also 3 restaurants on-site, a pizzeria, the pool-bar and the breakfast room used for a la carte dinner, which I heard were good but we did not get to try as we chose to eat out in town every night instead. Entertainment wise, our stay included a spa treatment for each guest which we stupidly didn't go for as we were often too tired from the beach and hardly at the hotel during the day. At the leisure pool, there is a daily routine of classes including aqua aerobics and dance which was all harmless fun if you're into that sort of thing. Other on-site benefits include fast Wi-Fi all around the resort, free underground parking (so your car is protected from the heat), a gym, hairdressers, an Olympic pool and tennis courts. All in all, this hotel really impressed us despite looking a little outdated. This didn't bother us as everything else was spot on. If we're ever in the area again, I know where I will be staying as we really couldn't fault anything. La Maddalena is the largest town in the Maddalena archipelago, just 1 mile from the north-eastern shore of Sardinia, and reachable by a 15-minute car ferry from Palau (and from Napoli if I'm not mistaken). Renowned for its beaches, we had to set aside a few days to explore the island at the end of our trip. Our stay was a total of 3 nights in Cala Lunga. The hotel, a couples' favourite, is nestled in the cliffs overlooking the Mediterranean Sea and if I had to describe the hotel in one word it would be "luxurious". The air-conditioned room was beautifully decorated Sardinian style, and it included a minibar and a balcony with sea view. Additionally, the hotel features 2 private beaches which are on the small side but stunning. Swimming in the sea is an experience in itself as the clear waters are filled with sea life. The swimming pool was my favourite as it overlooked the sea and the sun loungers and parasols made it the perfect spot to relax. This hotel is ideal for honeymooners like us. There are a few bars and places to eat and drink within the complex, but we generally avoided these due to the prices and the quality of food. The continental breakfast was good and varied but dinner at the restaurant was incredibly overpriced. We ate there one night and the food just wasn't up to standards, so you're better off going into town than eating on-site. To add to the disappointment of food, the Wi-Fi was pretty unreliable in the room (and pretty much anywhere else). Given the hotel location (being in the middle of nowhere), we had no cell service at all so we would have expected the Wi-Fi to be steadfast. We did complain to staff, but the excuse was that there were too many people using it and there was nothing wrong with it. I guess this is okay if you're looking to unplug completely but at night we wanted to watch movies on Netflix and this was simply impossible. By the pool you are lucky sometimes to get some service, that's when I updated my Instagram because #priorities. Considering everything, we had a great time here despite the lack of Wi-Fi. It is a beautifully located hotel and you're in for a treat with the views surrounding the area. If you're willing to overlook the fact that you won't be connected with the "outside world" and having to go into town for food, this is a great hotel to stay at and unwind. Phew…that was a long post. I wanted to make it as informative as possible as well as add our personal twist to it. Now tell me, have you ever been to Sardinia? If not, this is a MUST place to add to your list. You will not be disappointed! I will be back soon with more posts on this travel diary but I will space them out so you don't get too bored with them! For now, thanks for reading beauties and wishing us all a great weekend ahead! Hopefully, the sunshine will make a re-appearance? One can only hope! Such a beautiful place! I always wanted to visit Sardinia! Cala Lunga hotel seems to be so beautiful! Well, at a complex centre food sometimes is not that good, so good decision to eat out, I think. I have had some problems with bad wi-fi too, but what can we do, the staff cannot fix that, we just have to wait :) to leave the place, I mean :) I loved your pics, you look great! I think it's lovely that you went to Italy for your honeymoon. Glad you had a great time apart from the one disappointing hotel, but everything else made up for it. Have a great weekend. All the hotels you guys picked look gorgeous! I would've freaked out a bit without Internet connection too haha, but anything can be that bad with those gorgeous views right in front of you, I imagine. Thanks for this lovely post and for being back, Pam! We certainly missed you! This is one of my favorite islands, I love the coast! I think I have been to Sardinia once in my life, but it was when I was six or seven, so I don't really have memories of the stay. Your pictures and your description sound amazing thiugh. Oh, and don't worry too much about the pastries: Calories on holidays don't count! It's so beautiful! I would love go there, thanks for the tips! This place looks stunning!Amazing pictures! Aiiii gosh que fotos lindas! Também quero! This post had me wanderlusting! I need to visit Sardinia soon, it looks so incredible! Woah looks like it was a wonderful trip. Sardinia is stunning! I was never in sardinia before but this place is now on the top of my bucket list. Your holiday looks amazing! I'm so pleased you both have a lovely time! I'm already looking for next year so I will keep this in mind! 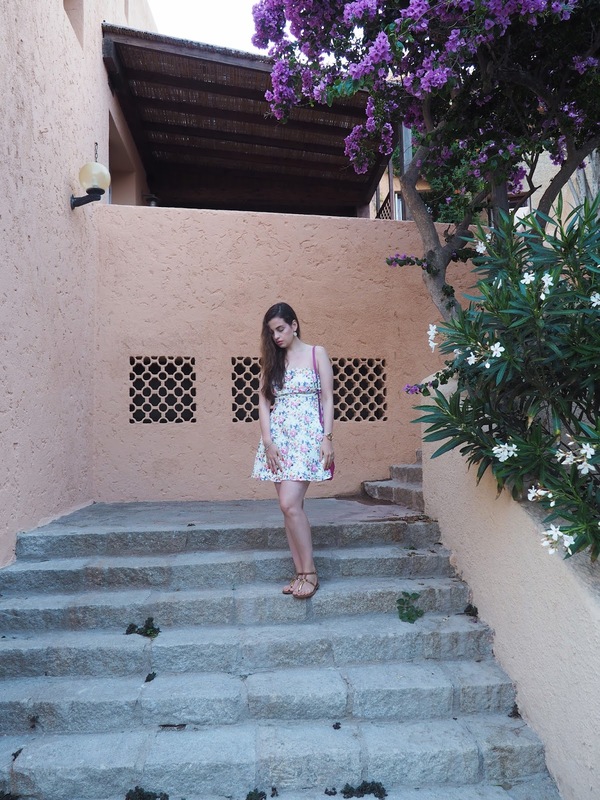 What a beautiful post, I'm yet to visit Sardinia but it really does look like a gorgeous place to stay. Really love your pretty outfit also. Ahh wow this looks so so beautiful!! Oh my this place looks so pretty. It's giving me major holiday envy right now! I can't wait for my next trip next month now. Thanks for sharing these awesome tips to create beautiful .